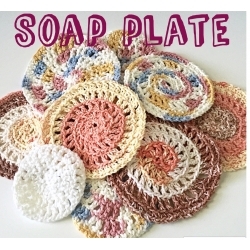 You can order these wonderful Soap Plates which were crocheted by my friend ONLY with the purchase of any product in my shop. 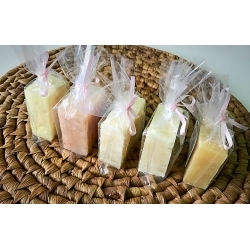 It is a perfect way to keep your soap dry. Also it is a nice decoration in your bathroom. This soap plate is washable. 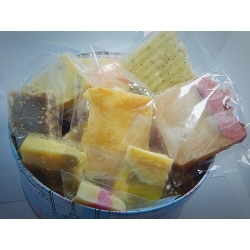 You will receive 5+ slices (about 8.0 oz) at random which are good for travel, guests, kids etc..
Each of soap is individually packed in a cellophane bag. These samples are end bars, pieces that were a little under weight when cured. They are vary in shape, color, texture.